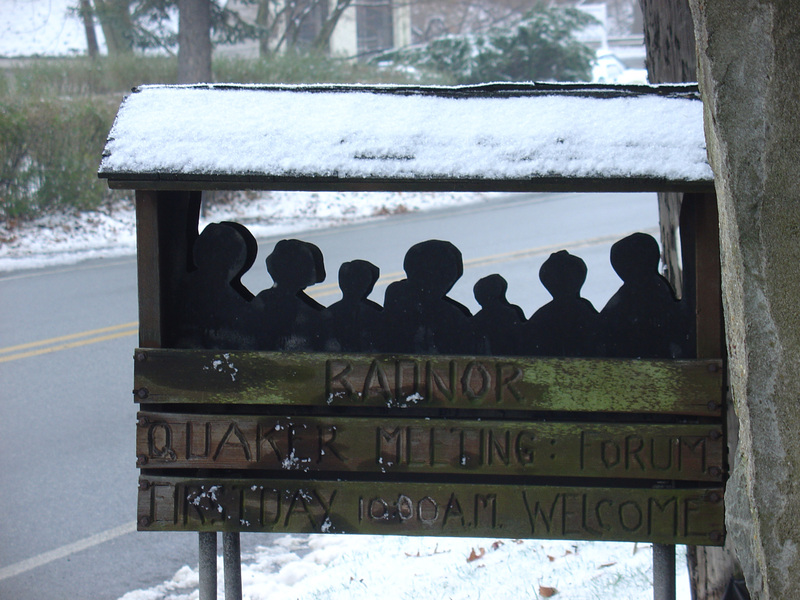 All children are welcome at Radnor Meeting. First Day School begins at 10:00 and is held in the child care center building below the meeting house. Children are divided according to age. There is a dedicated facilitator for the teen program with their own First Day School activities. Younger children are supervised by members of the meeting and during the school year attend our First Day School program. Pre-school children are under the care of meeting volunteers. Parents are welcome to stay in the child care room with the child and attend the First Day School. During the school year, the first Sunday of each month is devoted to a junior Meeting for Worship. Other activities of First Day School include note writing, crafts, planting, and cooking. In the summer months, there is no First Day School, only childcare. At 10:45 all First Day School students join the adult Meeting for Worship. They can sit with the class or with their parents, wherever they are most comfortable. They are invited to experience silence as well as messages from adults. It is understood by the meeting that sitting in silence is difficult for children. We realize it is a learning process, and love to have them with us even with the noise!